TVA published the 2019 Integrated Resource Plan (IRP) Scoping Report on Aug. 1, 2018. The report includes public comments related to TVA’s work on the IRP and the related Environmental Impact Statement (EIS). The IRP is a long-term plan that provides direction on how TVA can best meet future electricity demand over the next 20 years – while the EIS assesses the natural, cultural and socioeconomic impacts associated with IRP implementation. During a 60-day scoping period that ran from Feb. 14 to Apr. 16, 2018, members of the public provided input online, by mail and at public scoping meetings around issues that are important to them. The scoping report captures these comments, which will help lay the foundation for development of the IRP and EIS. TVA is hosting its first Integrated Resource Plan (IRP) Quarterly Public Update Meeting on May 15, 2018. The webinar will run from 11 to 11:45 a.m. EDT, and participants will need to register here. The 2019 IRP is a comprehensive study that provides direction on how to best meet future electricity demand. Learn more about the IRP on TVA’s IRP website. IRP quarterly webinars are designed to ensure continued transparency, information-sharing and public engagement around the development of the 2019 IRP. TVA held a scoping webinar at the kickoff of the 2019 IRP. If interested, please be sure to register. 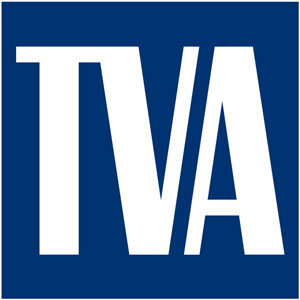 The Tennessee Valley Authority (TVA) is beginning work on its 2019 Integrated Resource Plan (IRP)—a comprehensive study that provides direction on how to best meet future electricity demand. Building upon the work of prior IRPs, TVA is starting the 2019 IRP process by proactively addressing the changing utility marketplace. Specifically, the 2019 IRP will explore various scenarios related to expansion of distributed energy resources (DER) in the Tennessee Valley. TVA will also seek to improve its understanding of the impact and benefit of system flexibility with increasing renewable and distributed resources. The 2019 IRP will consider many views of the future to determine how TVA can continue to provide low-cost, reliable electricity, support environmental stewardship, and spur economic development in the Valley over the next 20 years. As part of the IRP decision-making process, and in alignment with the National Environmental Policy Act (NEPA), TVA will analyze potential environmental implications associated with an updated IRP by issuing an environmental impact statement (EIS). Hunter Hydas, Enterprise Planning, 1101 Market Street, Chattanooga, TN, 37402. Phone: 423-751-2453. Amy Henry, Enterprise Relations + Innovation, 400 West Summit Hill Dr., WT 9D, Knoxville, TN, 37902. Phone: 865-632-404.